"When the mother is stressed, several biological changes occur, including elevation of stress hormones and increased likelihood of intrauterine infection," We all want our children to be smart and creative. British & Canadian researchers say that if a woman is stressed during pregnancy, she is actually giving her baby a lower IQ! Stress can raise your blood pressure, and that has a direct effect on the development of baby’s brain that may result in a greater risk of anxiety, depression and Attention Deficit Hyperactivity Disorder. There are many ways to help your baby get a good start in life. You can boost your baby’s IQ while he or she is in the womb, by reducing stress and anxiety, eating healthily which will help to create the connections in the brain that are the foundation of intelligence. Tips that will help baby’s brain development. Take atleast 400 micrograms of folic acid everyday from food or other supplement. Eat vegetable-based omega-3 supplements since it is an important part of intelligence in early life. Touch your baby through stomach. Listen to music while the baby is in the womb as it helps concentrating. Talk and read aloud to your baby. 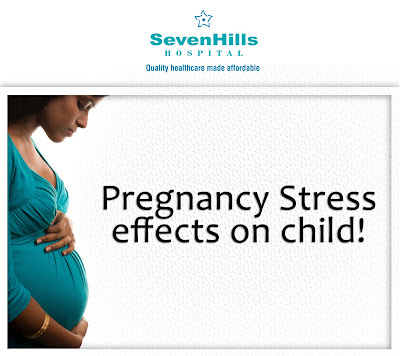 Breathe deeply, take walks, talk to your friends and visit your doctor for all your prenatal checkups on regular basis.